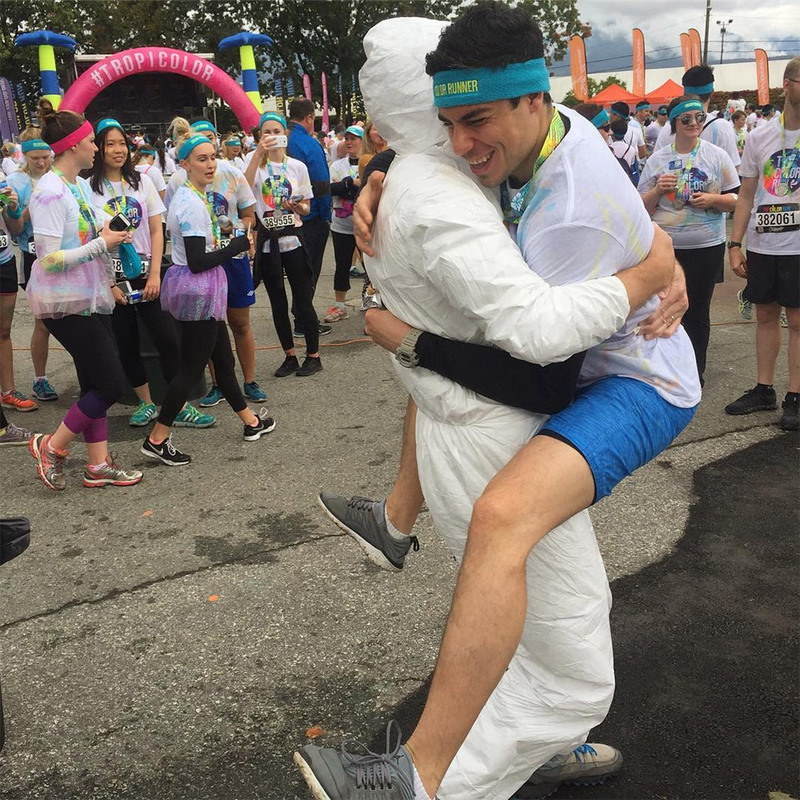 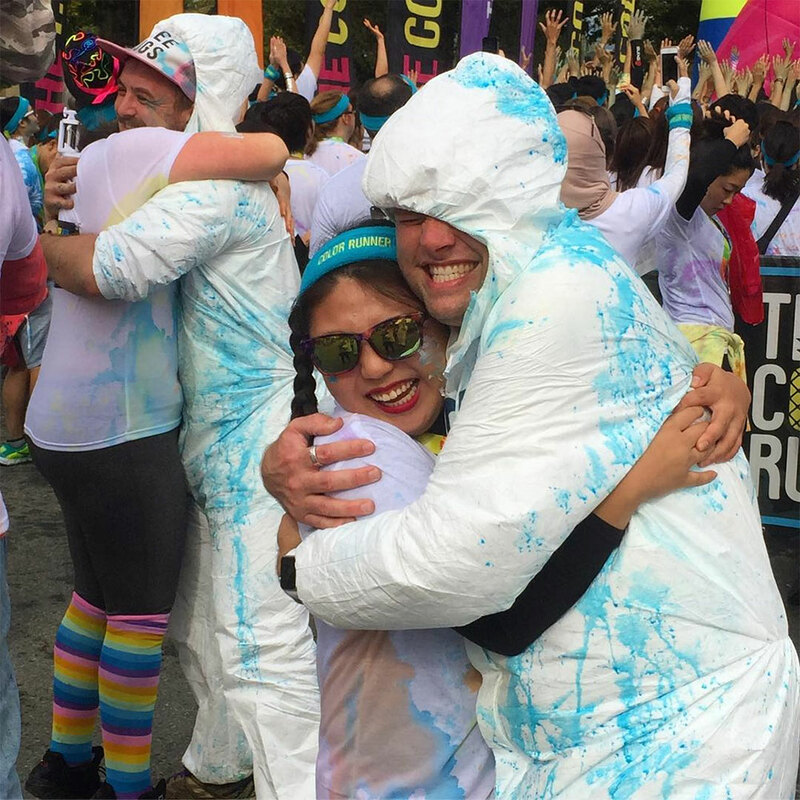 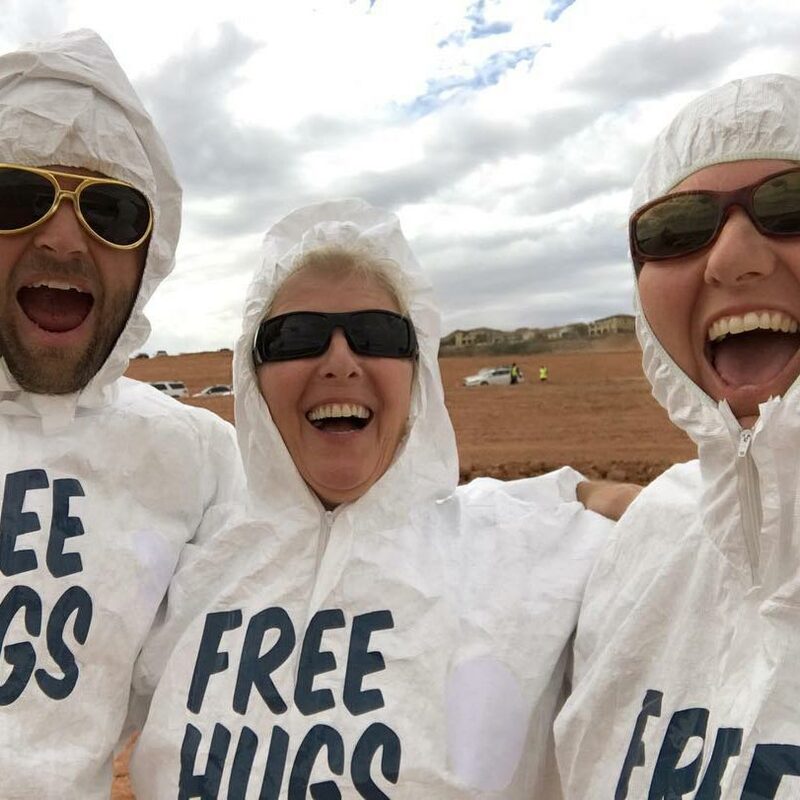 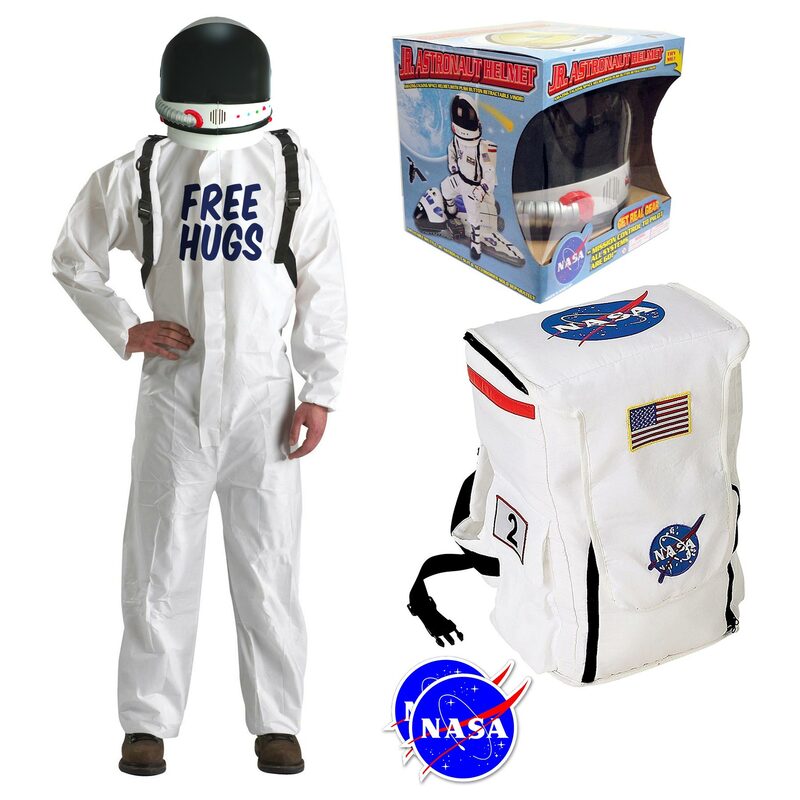 Sometimes hugs can get messy, and for those times, you need the protection of head-to-toe coveralls designed by scientists to resist exposure to hazardous dry particles, aerosols, liquids, and other unknown bodily fluids. 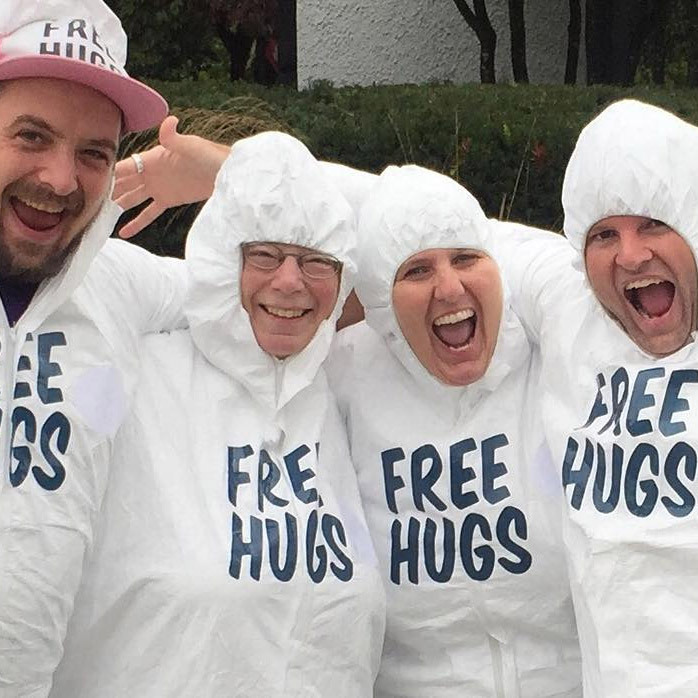 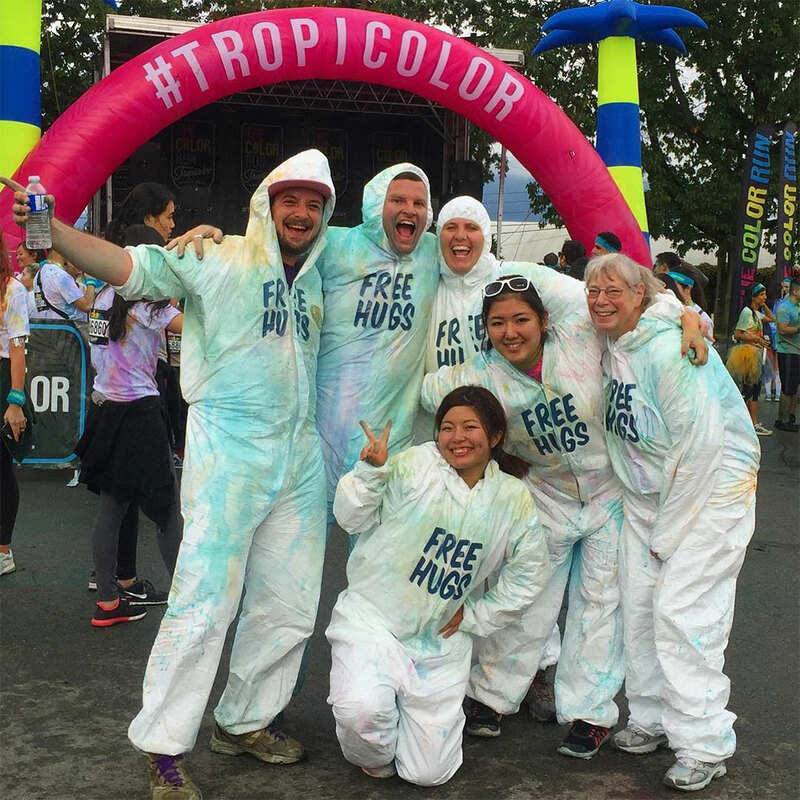 Imagine you and your friends lined up in these suits at the end of a Color Run 5k or a Tough Mudder. 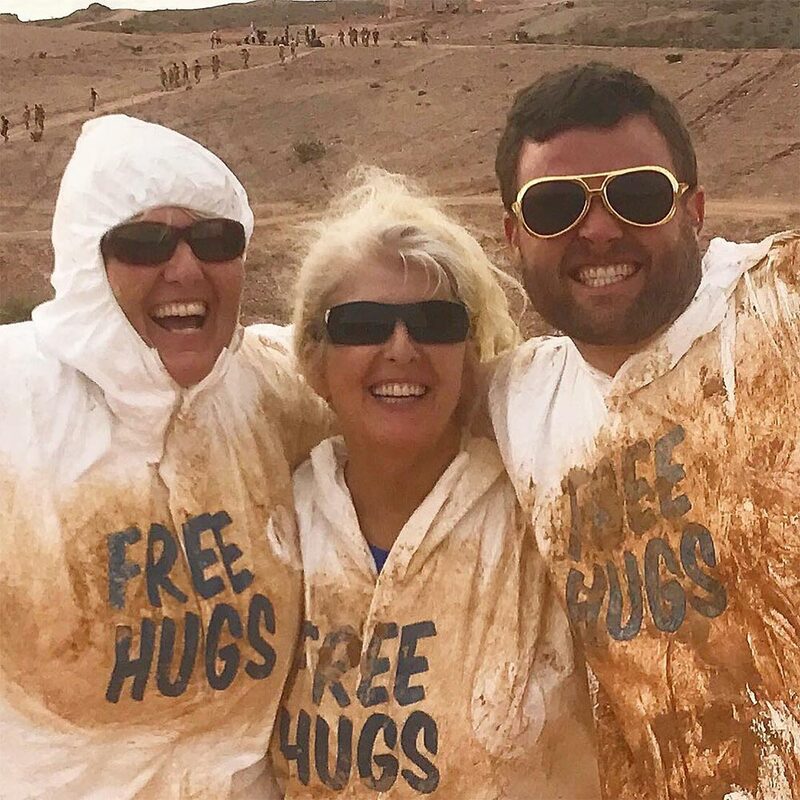 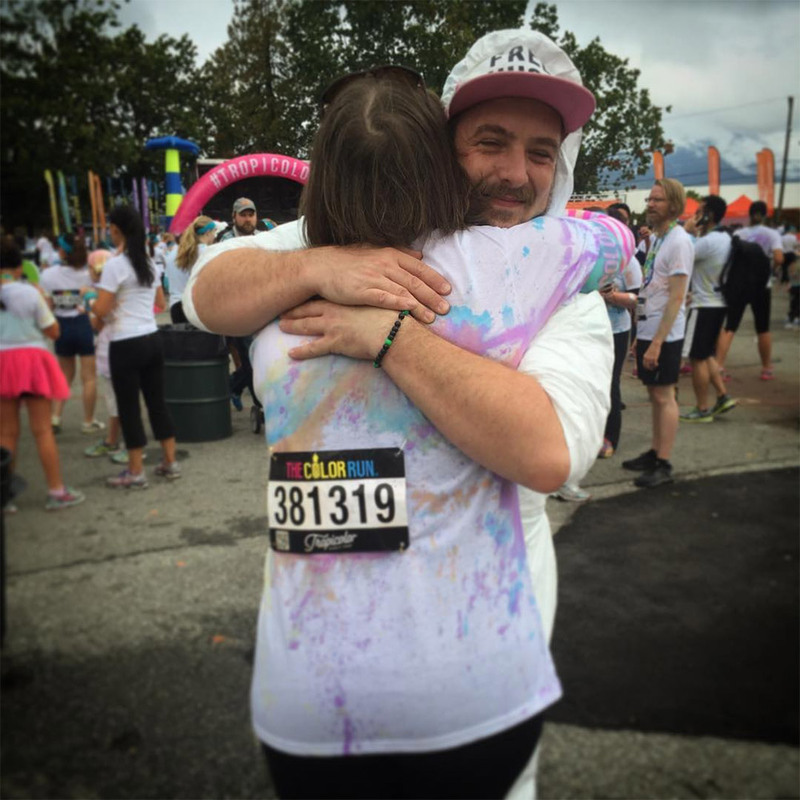 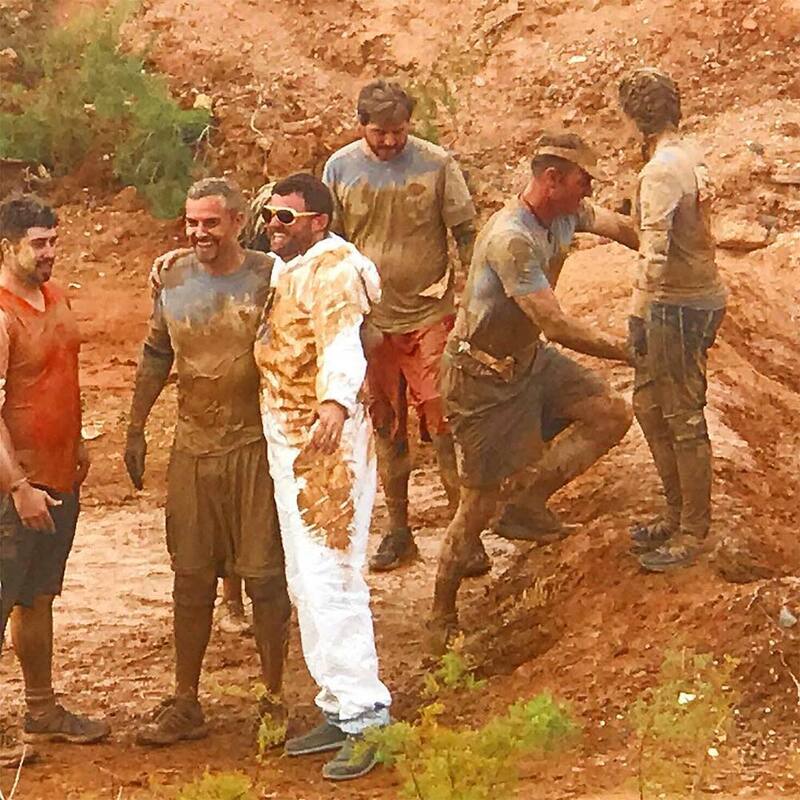 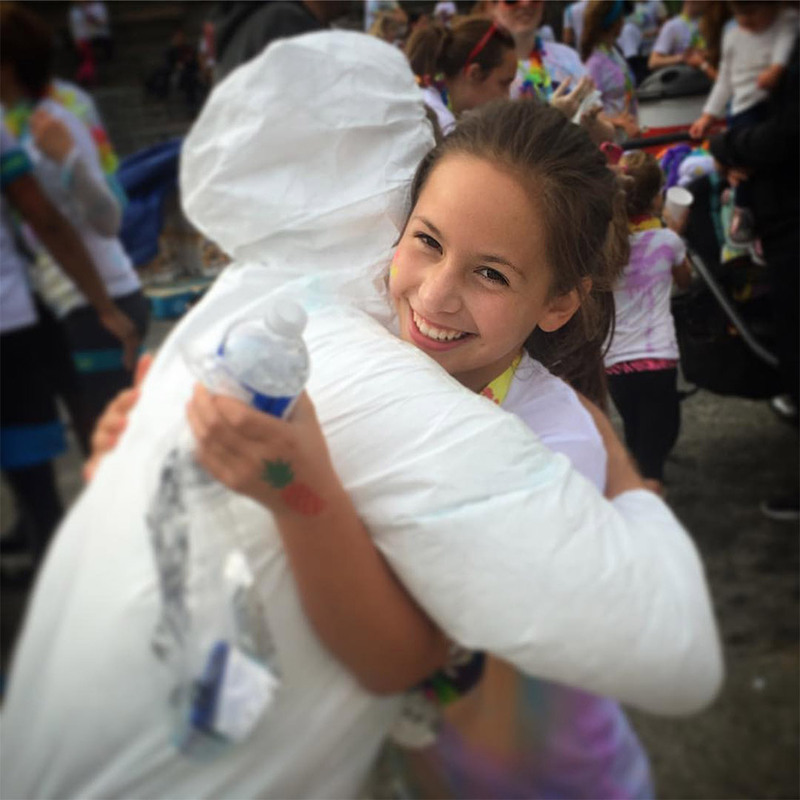 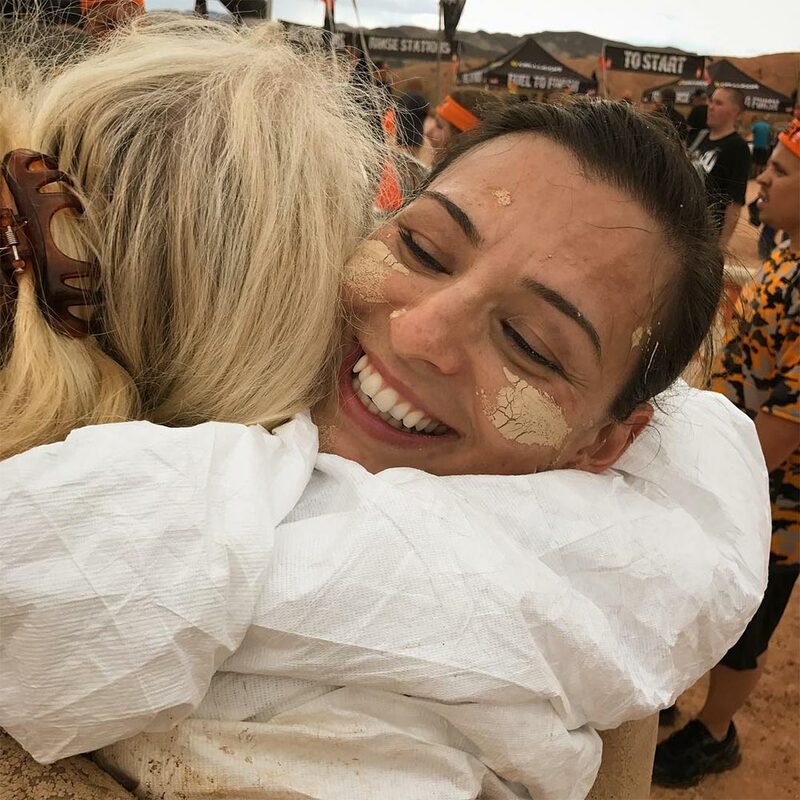 Thousands of happy and dirty runners have just finished an incredible achievement and they’ll want nothing more than to hug their filthy selves all over your clean open arms. 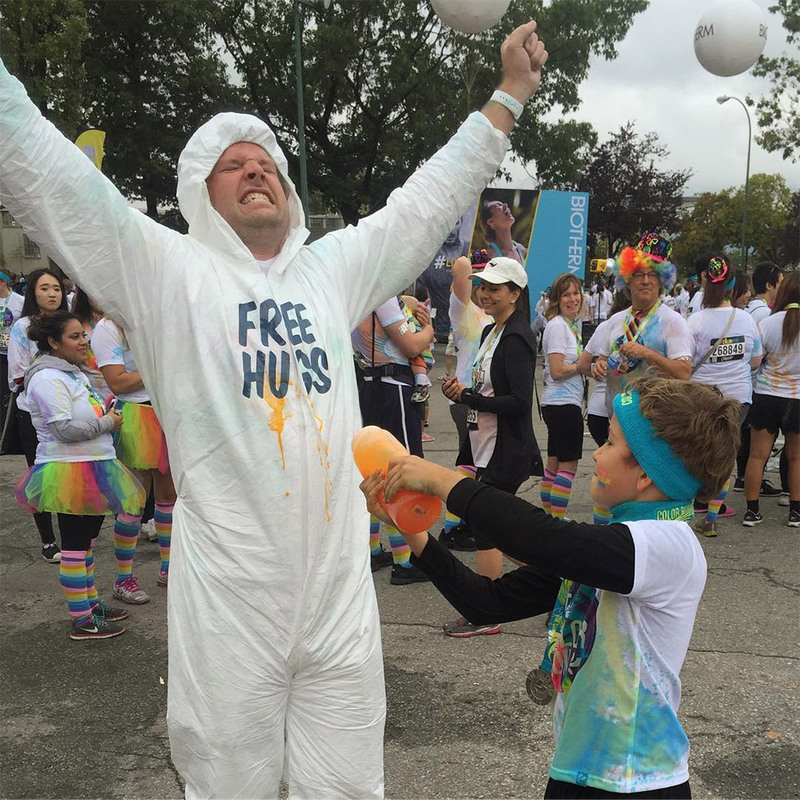 Honestly, the response to these suits at messy events is absolutely epic and you have to experience it at least once in your life. 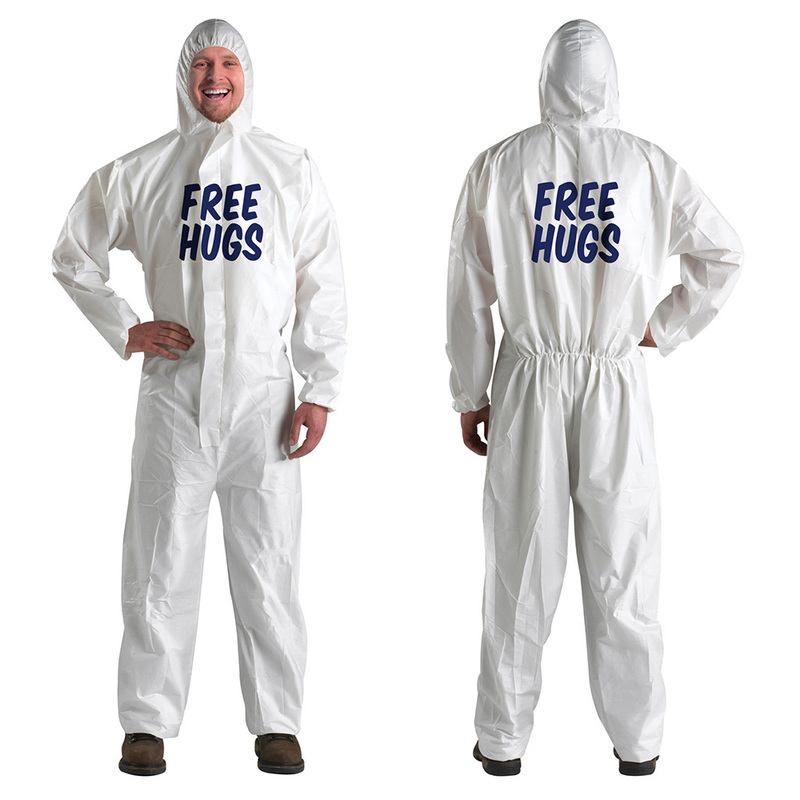 In addition to hugging, these are handy to have around in case you need to perform some general maintenance operations, clean asbestos or lead abatement, eradicate mold, perform petrochemical installations, traverse a sewer line, or just join a painters party – making it clear the entire time that although you’re in some serious stuff, you’re still friendly and open to hugs. 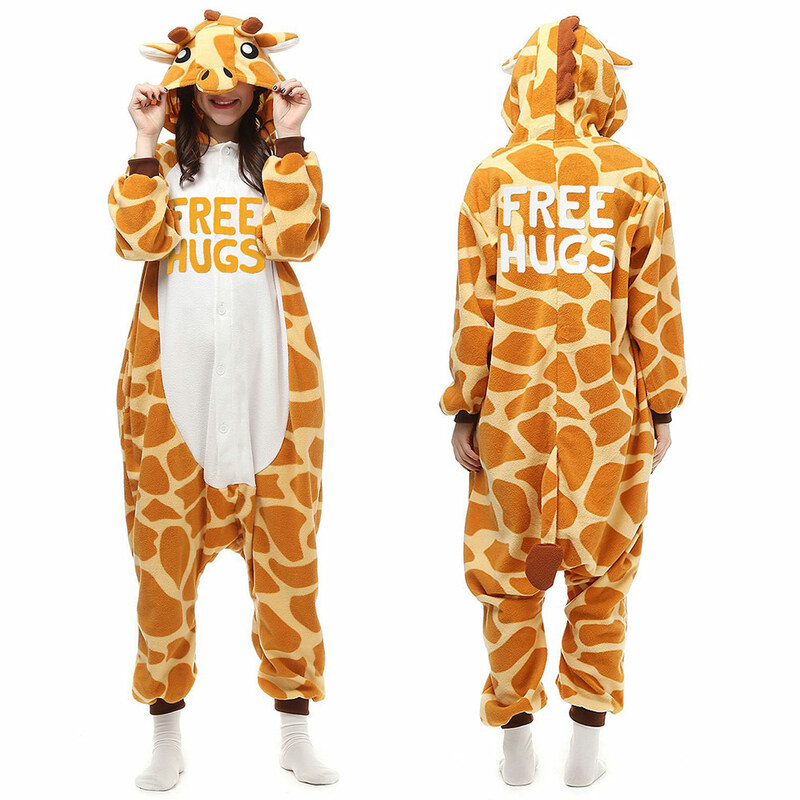 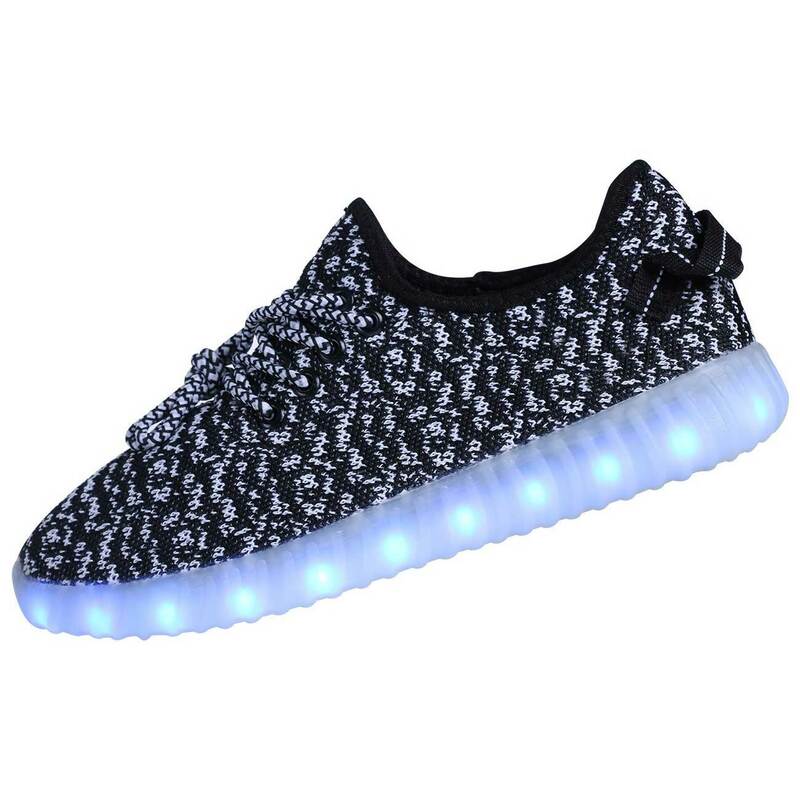 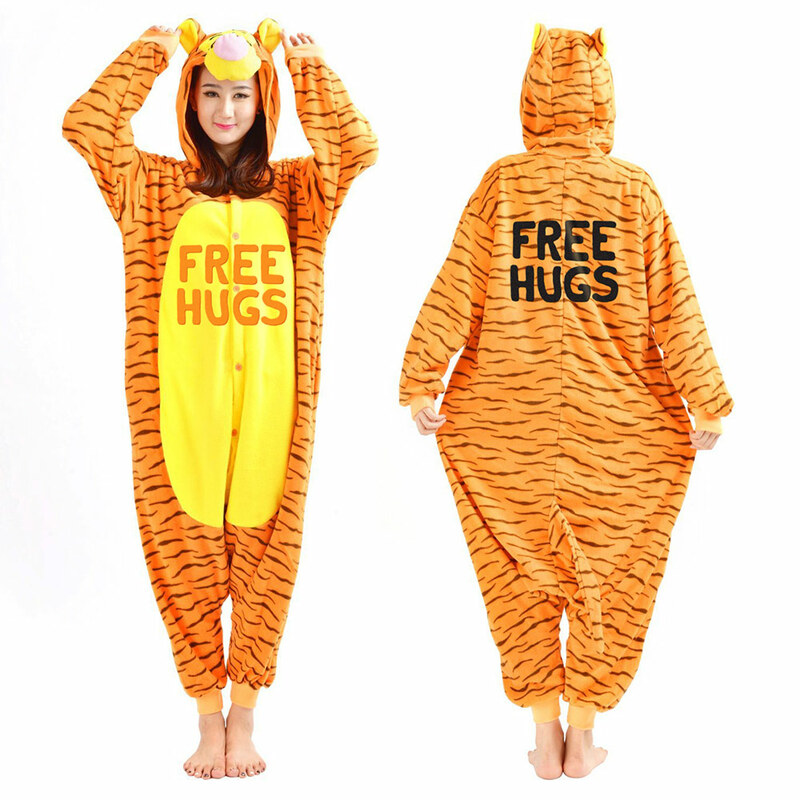 You would think they would be all claustrophobic and hot, but they’re actually pretty comfy and breathable, so much so that you could just buy them to lounge around in and freak out your neighbors.